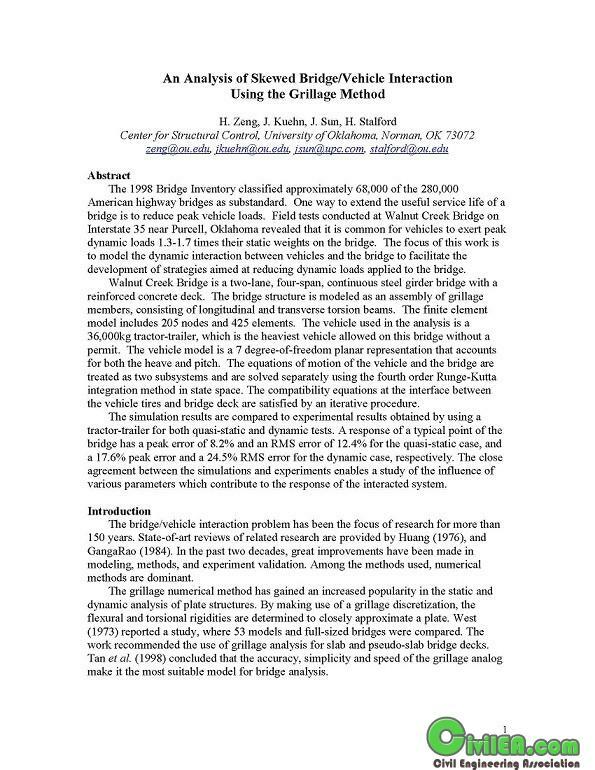 development of strategies aimed at reducing dynamic loads applied to the bridge. the vehicle tires and bridge deck are satisfied by an iterative procedure. various parameters which contribute to the response of the interacted system.